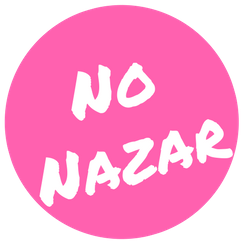 No Nazar is a podcast created for diasporic women, non-binary, trans folk and men. We are here to hear your stories,to share your experience, to feel empowered and to openly reject the problematic narratives that have dominated our culture for too long. We all have identities and experiences that are shared, while still being uncommon, prevalent yet remaining unspoken. Let this space be your outlet and your window into our community. We have been inspired by the story-telling traditions of our culture and we want to reignite that same passion and creativity in you. Positive, negative, empowered or helpless; we are all in this together. No Nazar aims to create a community, a safe space, a support where we can be empowered by each other. Zainab Hameed is a writer, activist and legal graduate. She was born in the UK and lives in Canada with her larger than life Pakistani family. She started the show in an effort to connect the stories of the most important people in the Asian diaspora- women. In her down time she enjoys illustrating, swimming and copious cups of tea.